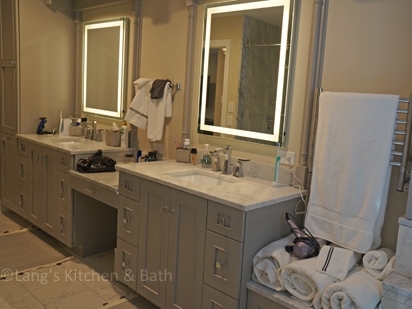 Upgrade your bathroom with help from the experts at Lang's Kitchen & Bath. Visit our Newtown showroom to start your experience today! 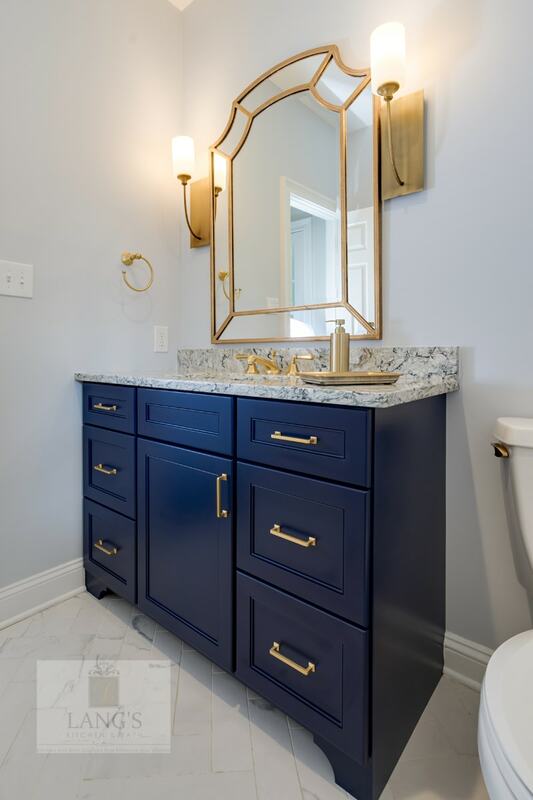 If you are considering a bathroom renovation, visit our gallery below for bathroom ideas and inspiration, and then contact us so we can make your dream a reality. Click on any of the projects below to see more photos and find your design inspiration today. See more bathroom projects here. 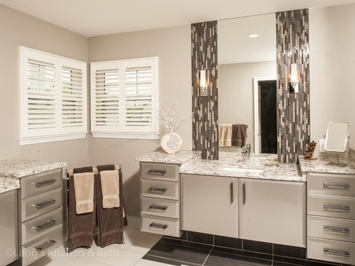 Make the bathroom of your dreams a reality! Your bathroom can be the refuge at the end of a long day, soaking in the bathtub while losing yourself in your favorite book. It can be the inspiration you need in the morning, allowing you a moment of peace in a relaxing shower before you begin your busy day. We hope this photo gallery provides the bathroom remodeling ideas you need to inspire your new design. At Lang’s Kitchen & Bath, we take on board your individual requirements to create the bathroom design that meets all the needs of your household. 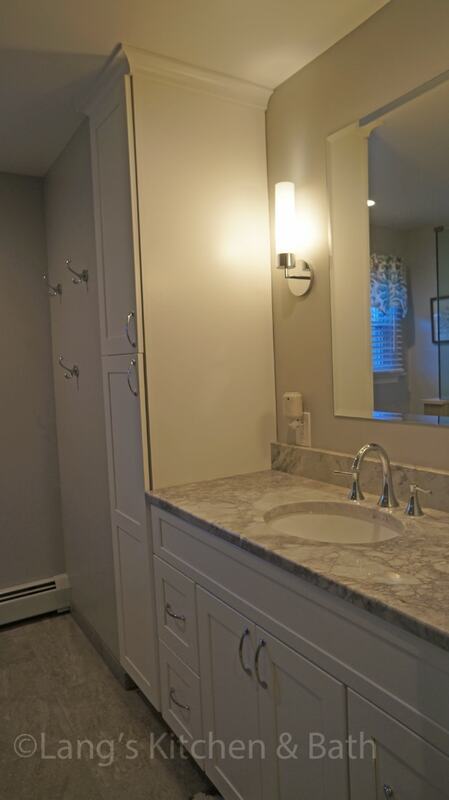 For any bathroom remodeling project - your master bathroom, guest bathroom, kids’ bathroom, or powder room - we provide innovative solutions to all your storage requirements and offer ideas on how to create the style you want. The experienced team at Lang’s will help you complete the look of your new bathroom by selecting the right bathroom fixtures from a wide selection from top manufacturers. 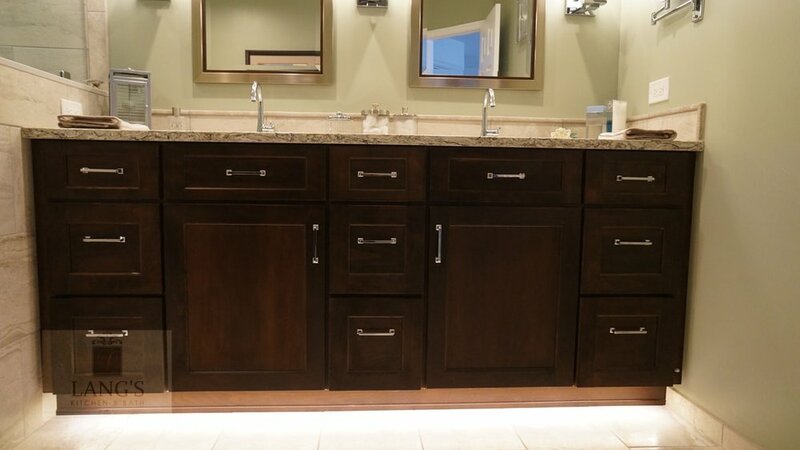 We can help you create a day spa in your master bathroom and provide customized storage for your kids’ bathroom. Your new bathroom can be designed to complement your elegant home décor or to conform to the dimensions and style of your historic home. 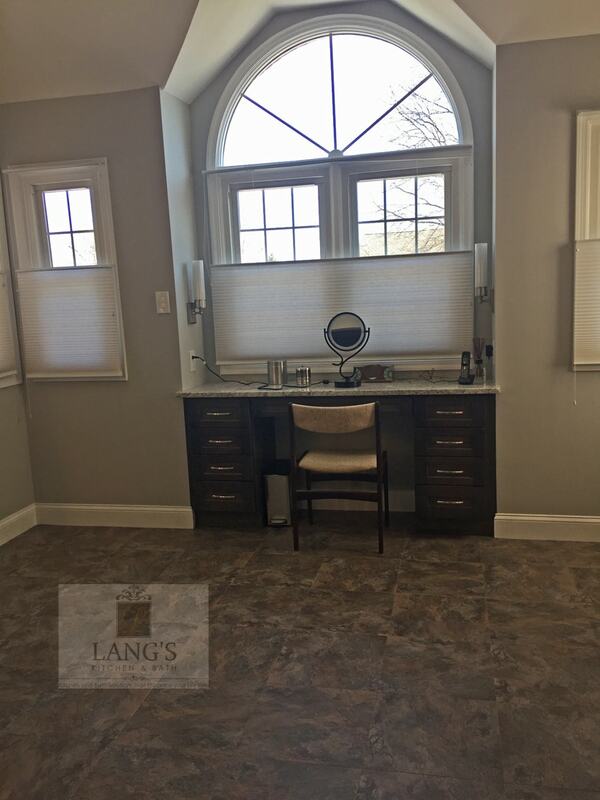 Whatever requirements you have for your next bathroom remodel, the experienced designers at Lang’s Kitchen & Bath can help you. Our designers will take you through the bathroom design process and then ensure your remodeling project is successfully managed to completion in a stress-free manner. 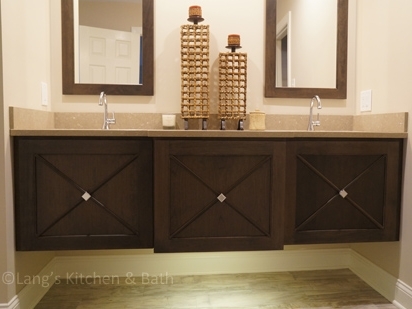 At Lang’s Kitchen & Bath we have bathroom solutions that will enhance your lifestyle!